Like other forms of arthritis, psoriatic arthritis affects more than just the joints of the human body. In addition to that pain and swelling, many psoriatic arthritis patients also experience severe fatigue. About one-third of the patients who experience the disease known as psoriasis can expect to develop psoriasis arthritis (PsA) as well. Unfortunately, the medical community has not yet progressed to the point where it can identify which patients will develop that condition. For the patients who do, however, life quickly progresses from an unsightly and sometimes itchy skin condition to a more severe form that includes chronic pain and fatigue. Psoriatic arthritis shares some things in common with psoriasis, but has some key differences as well. Like psoriasis, it is the result of autoimmune issues. Both involve an overreaction on the part of the immune system, which leads to severe inflammation on the skin. This causes an abnormality in the way skin grows, resulting in new skin cells appearing on the outer layer of the skin in a fraction of the time they would normally require. That rapid growth ends up accumulating in masses called plaques that can vary in size. These patches of skin are generally found on the lower back, elbows, knees, hands, feet, and scalp. These plaques sometimes present as little more than a rash. At other times, they can appear as large, reddened areas with scaly skin. Those plaques tend to be more inflamed, and can cause itching and discomfort. Psoriatic arthritis occurs when psoriasis progresses to the point where it begins to cause pain and stiffness in the joints, as well as fatigue. That pain and fatigue is what distinguishes the two conditions. The plaques, however, remain common in both. It is important to note that the location of those plaques seems to have no direct relation to where joint pain and discomfort are experienced. Joint difficulties that include stiffness, pain, and excessive warmth. This causes the condition to often be mistaken for rheumatoid arthritis. Pain is asymmetrical in most cases. Finger and toe swelling is common in four of every ten cases. The psoriasis can create pitting and discoloration in the nails. The feet can experience pain too, something that is not as common in other arthritic conditions. Spinal pain can be common as well, and is the only symptom in about five percent of cases. Fatigue occurs in nearly all instances. Psoriatic arthritis has a variety of ways to impact your energy levels. Some are related to the immune system response, while others involve the psychological toll the disease exacts. As with other forms of arthritis, the way in which the immune system attacks the body with PsA creates the ideal conditions for fatigue. Inflammation always captures the attention of the entire body, and with arthritic conditions, that attention also involves the redirection of blood to the impacted areas. Since blood is responsible for delivering the raw nutrient materials needed by the mitochondria within each cell, those materials never get delivered. Without them, the cells cannot produce the energy they need to provide power for daily activities. And the end result of all of that is that you feel fatigue. Because of the pain and the unsightly nature of the physical effects of this disease, many patients suffer varying degrees of depression. Depression carries with it feelings of hopelessness, and together those two mental and emotional forms of distress can create a cycle of fatigue that can advance to a state of complete exhaustion. The key to quality of life with any condition that causes fatigue is to deal with the symptoms of the disease, while also addressing fatigue in a direct manner. To accomplish those twin goals with psoriatic fatigue, patients need to focus on their medical treatment plan as well as lifestyle changes to provide more energy. Your doctor will develop a plan to deal with your psoriasis and the joint pain that accompanies it. That will most likely include medications to control inflammation, as well as others to manage the pain. It is imperative that these be taken in accordance with the physician’s instructions to ensure that the best results can be obtained. These treatments might also include some form of non-steroidal drug to control inflammation, or even anti-rheumatic medication for more severe cases. When those don’t work, the swollen joints are often treated with corticosteroid injections. As a last resort, some patients require surgery to undo the damage done to their joints. Focus on sleep and rest. 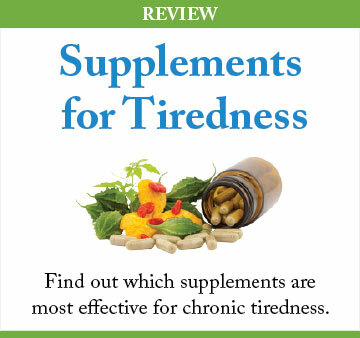 You need around eight hours of solid, restful sleep each night to counteract fatigue. Make a regular schedule for sleep, and stick to it by resting during the same period every night. Eliminate everything in the bedroom that might prevent sleep, including the television, and any electronic devices. Keep your cell phone out of the room as well. Work to determine what helps to get you excited and energized. Whether it’s watching a good movie or listening to your favorite songs, those energy-boosters can be vital to keeping your energy levels – and your spirits – as high as possible. Eat the right foods, and eat more often. Forget the breakfast-lunch-supper paradigm. To maintain more consistent energy levels throughout the day, you should be eating five or six smaller meals and snacks. That will help you to avoid the blood sugar swings that can cause spikes and crashes in your energy level. Get some exercise and avoid the temptation to become sedentary. Yes, you’re in pain and your mobility is probably limited as well. Even so, exercise is critical for maintaining flexibility and strength, and can be vital for raising energy levels too. The most important thing to remember is that no disease should be allowed to completely manage your life. It is up to you to manage it, and addressing the fatigue related to this disease is an important place to start. By meeting the challenge head-on, you can ensure that psoriatic arthritis fatigue is kept to a minimum so that you can continue to lead the life you choose rather than the one the disease chooses for you! A thorough medical check can help you identify the cause of your tiredness. Learn what happens during the diagnostic process and what kind of tests and exams are typically used. I Used to Sleep More than 10 Hours per Night, but Was Still Always Tired… Now I Need Less Sleep - Just 4 ½ Hours Each Night And I Feel Great. Though there are many things for women to agonize over during menopause, few things are more disruptive than the exhaustion they experience. In fact, fatigue is often the symptom that most affects a menopausal woman’s life.